SARASOTA – The Sarasota Bay Estuary Program (SBEP) has announced the newest winners of Blue Dolphin Awards. The unique award acknowledges local champions of Sarasota Bay. Sherri Swanson and Scott and Virginia Lloyd-Jones will be joining eight other individuals and groups that have been honored with Blue Dolphin Awards since 2012. 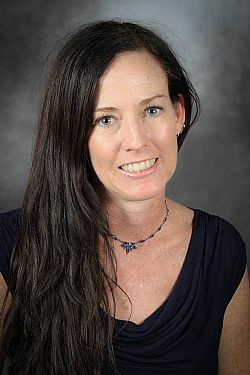 Sherri Swanson works as a senior environmental scientist for HDR Engineering, Inc. She’s being recognized for her volunteer support of the Sarasota Bay Water Festival, the region’s largest public event focused on the welfare and recreational amenities of Sarasota Bay. The third water festival was held in November at Ken Thompson Park in Sarasota. Sherri is also a member of the SBEP Citizens Advisory Committee (CAC). Scott and Virginia Lloyd-Jones are retirees from Sun City Center being recognized for their ongoing volunteer support of the award-winning SBEP Bay Guardians Program. The couple has participated in numerous volunteer outings throughout Manatee and Sarasota County. The Bay Guardians are the largest volunteer organization in the region focused on area projects that benefit Sarasota Bay. The SBEP Blue Dolphin Awards were launched in 2012. Prior winners include: Martha B. King Middle School in Bradenton, Jack Merriam, the former environmental manager for Sarasota County, AMI Turtle Watch and Shorebird Monitoring, Raindrop Cisterns, a company focused on rainwater harvesting, Charles Edwards, a retired biomedical researcher and long-term volunteer with the SBEP Citizens Advisory Committee, Denise and Don Elliott with Sunbow Bay Condo Association on Anna Maria Island, Lee Fox formerly with Save Our Seabirds, Inc., and Sean Russell representing the nonprofit Stow It Don’t Throw It Project.